Welcome to Once Upon a Dream, fairytale edition! Since I have centered an entire blog around my love for fairytales, you’ve probably already guessed that a fairytale themedpost would eventually surface in this series. This edition of Once Upon a Dream is called “The Princess Relaxes”, and I hope it gives you some ideas on how to have a night of luxurious pampering and relaxation, all while envisioning being pampered in your very own palace (a girl can dream, right?). Now, let’s embrace our inner princess, shall we? I found this candle on Etsy when I was browsing for fairytale themed candles, and knew instantly that I must order this one. Not only is it fairytale themed, it’s even pink! It’s scented with rose (my favorite scent!) and honeysuckles, and is inspired by fairytales. When will Fifi ever stop talking about Spireside Candles? Never! You guys know how much I love fairytales and anything unique, and you just can’t get candles like these anywhere else. 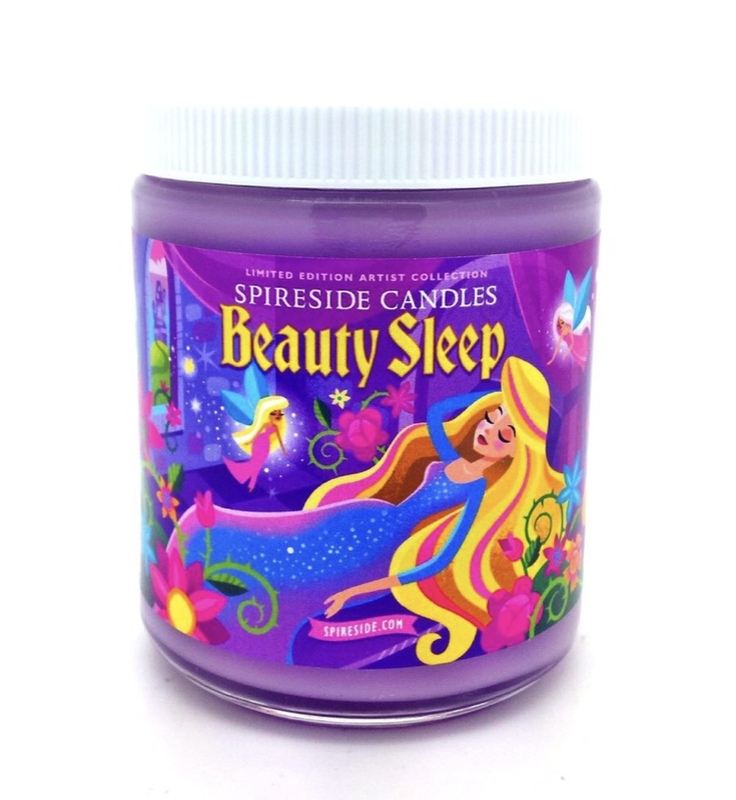 This candle is inspired by Sleeping Beauty and smells like sweet berries and french lavender. It’s a very sweet, feminine scent that I think you’ll enjoy! If uniquely themed candles are what you’re looking for, then Etsy is the place to go. This is yet another Etsy find, this time, with a candle inspired by the enchanted rose from Beauty and the Beast. Another candle found on Etsy! This candle is inspired by a strong, heroic princess and her fantasy world, with scents of green tea, bergamot, and Lily of the Valley. When I think of luxurious scents, one of the first things I think of is lavender. This product uses vitamins and essential oils to leave your skin soft and luscious. The lavender scent alone is great aromatherapy and is incredibly calming. Best of all, this product is cruelty free and vegan, and is free of chemicals and preservatives. This shower gel is on the pricier side in comparison to other shower gels, so my recommendation is to save this shower gel for a special treat, reserved for exclusive nights of relaxation. That way, your body will associate this scent with “it’s time to relax” if you only use it on nights when you plan to relax and pamper. This will also make the product last longer before you need to repurchase! Though I have just professed my love for lavender, my all time favorite scent is actually rose! I find the scent of rose very soothing, so I just had to incorporate a rose scented shower gel into this post. The best way that I can describe this scent is “feminine”, and you guys know that I’m most definitely a girly girl! This shower gel is scented with murumuru butter and rose, and costs a fraction of the price of the Avalon shower gel. 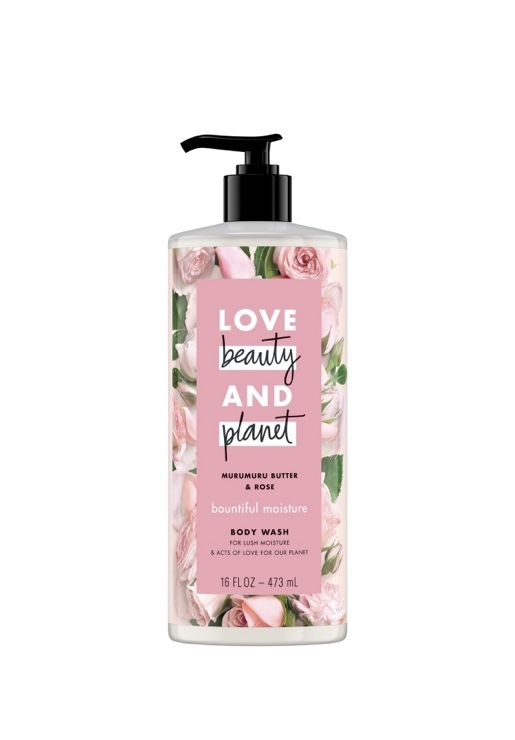 Love Beauty and Planet does not conduct animal testing, all products are vegan, ethically sourced, paraben free, and safe for sensitive skin. I only have one product recommendation for face masks, because this is the face mask that I use exclusively. This product is legitimately the best face mask I have ever purchased. I have tried numerous face masks, both low end and high end, and everything pales in comparison (Lush products included, in my opinion). When it dries, it doesn’t become too uncomfortable, and when you wash it off, it feels like you have new skin. No other face mask I have ever tried had left my skin feeling so fresh! This face mask goes deep into your pores and removes dirt and toxins for a deep clean that you can definitely feel. Your skin will feel incredible after this mask! I have yet to purchase another face mask after trying this one, and I don’t know I ever will, because nothing else has worked as well! You’ve probably figured out by now that Pixi is my favorite company for skincare! I exclusively use Pixi for my morning and nighttime skincare routine now, using their rose oil in the morning and this Beauty Sleep Cream at night. This product is super moisturizing and hydrating, and how perfect is the name of the product? This is my absolute favorite night cream, and is my favorite part of my night routine. A must have for every princess! I personally love wearing nightgowns to bed because they’re so light and flowy. Best of all, they really do make you feel like you’re a princess in a fairytale. To go to bed feeling like a princess, a nightgown or chemise is a must! I’ve found that vintage nightgowns look the most similar to something you would find in a fairytale, but vintage is much pricier and there is also the issue of cleanliness (since the clothing is very old and has been who knows where). A way around this is buying nightgowns that have the appearance of vintage, but are actually brand new! This nightgown is as cute as any vintage nightgown you could ever find! I also think that the price is very reasonable, especially compared to the price of most of the vintage nightgowns you’ll see on Etsy. This is the only order that I have ever placed from Sweet Fairy, but I definitely plan to order from them again. Their clothes selection is limited, but very feminine and pretty. The only downside is that it takes a very long time for your order to arrive (mine didn’t arrive for almost a month) but it is absolutely worth it because the nightgown is even prettier in person, and is unbelievably soft! What goes perfectly with a fancy nightgown? A satin kimono robe of course! Victoria’s Secret has some great ones but if you are looking for something more affordable, places like H&M and Forever 21 sell them for a fraction of the price. I suggest looking there first! This one is an obvious choice! Harney & Sons is my favorite tea company, but this is a tea that I actually haven’t tried yet. When I was browsing through their tea selection, I thought that this was just too perfect not to include! This green and white tea is infused with rose petals and has flavors of almond, coconut, and vanilla. I’m looking forward to trying this one! It’s constantly sold out, so keep an eye out! When I think of a hot, calming drink, I usually think of honey being incorporated in some way. That’s why I thought that this tea would be perfect! It’s a blend of chamomile and spearmint, along with natural honey flavors. I have tried different varieties of chamomile tea from various companies, and this Harney & Sons mixture of chamomile and lavender is my favorite so far. I absolutely adore lavender so I love that this tea incorporates that in. It’s incredibly calming, and when you brew it for a long time, the flavor becomes quite strong! A great way to escape to a fairytale dream world is through watching fairytale films. Don’t know which fairytale films to watch? I’ve got you covered! Check out my previous blog post where I list some of my favorite live action fairytale films. If you have read some of my other posts, then you will already know that I am a major bookworm! I’m not usually a big fan of tv shows or movies, because I prefer books. Why? Because with books, I can travel in a way that I can’t with movies (also because I find movies less engaging and harder to get into). The majority of my free time is spent reading, tracking new book releases, and reading book reviews, so I am especially excited about this portion of the blog post. My absolute favorite genre to read is, you guessed it, fairytales. Premise: Princess Rose and her twelve sisters are cursed to dance for the evil King Under Stone each night in a dark, otherworldly land. With the help of a young soldier and a little bit of magic, they just might be able to free themselves from this dark curse. When people ask me what my favorite book is, this book is usually the answer that I give. I have a bit of a sentimental attachment to this book, because it was one of the first fairytale novels that I felt attached to. I remember reading this book (and the second book Princess of Glass) over and over again. I have read many fairytales since this book but this one will always be a standout. Premise: Princess Azalea struggles with the loss of her mother and feels trapped in the palace with her family falling apart. She encounters a secret passage where she finds The Keeper, who is confined within the walls of the palace. She and her eleven sisters escape through the secret passage to dance in his silver forest, but things quickly take a dark turn. If you couldn’t tell by now, The Twelve Dancing Princesses is one of my favorite fairytales, and I’ve found that the absolute best fairytale retellings are usually of this fairytale in particular. There’s just so much you can do with this premise, especially if you want the story to take a dark and creepy turn. This book involves a dark dance with a creepy history, and one of the disturbing villains I have ever read in a fairytale. This is definitely the darkest of the bunch, and also one of the most memorable. Premise: In this fractured fairytale, Princess Annie’s older sister is none other than the infamous Sleeping Beauty. When Gwen pricks her finger and the entire castle falls asleep, Annie is the only one left awake because she is the only one not affected by magic. She goes on a journey to find Gwen’s true love, who can break the curse with true love’s kiss. Along the way, she encounters other fairytale characters and gets caught up in their fairytale stories. If you want something light and adorable, look no further! This sweet, middle grade, fractured fairytale is one of the cutest things you will ever read. This story isn’t a retelling of any fairytale in particular; instead, it blends together all the fairytale characters that you know and love, all into one whimsical story filled with magic. Premise: Prince Richard stumbles upon Violet’s family farm to seek refuge from the storm, and as she nurses him back to health, they fall in love. However, Richard is not permitted to marry a peasant girl, and the King and Queen have devised a contest amongst the princesses to compete for Richard’s hand in marriage. Violet manages to trick her way into the competition, but can she beat the other princesses to win the hand of her prince? If you’re in the mood for a classic fairytale retelling, this is exactly what you’re looking for! Though it has been a while since I’ve read this book, I’ve reread it several times because I loved it so much. A girl who is competing against other princesses in a competition to win the heart of a prince; what’s not to love? Premise: Emmeline, who was born with a defect, was left to die in the forest after her birth. However, she is protected and cared for by the local cows, who deliver her home safely. Emmeline’s life doesn’t get any easier from there because she is scorned in her village, seen as unlucky and strange. However, Emmeline’s life completely changes when she acquires the ability to make chocolate and becomes the only person in the kingdom with this ability. With this highly desirable new talent, she may just be able to save the kingdom, and meet the Prince himself! This book wins the award for one of the most underrated fairytales on this list. It took me a while to pick this one up because the plot sounded strange (a girl with a special connection to cows who is gifted the ability to make chocolate isn’t exactly a plot you’d normally see) but a fairytale is a fairytale, so I gave it a try. I’m so glad that I did, because this is genuinely one of the best fairytales I have ever read. The synopsis seems strange at first, but this book is super engaging and original. Trust me, give this one a try! Make sure you have chocolate on hand before starting this book, because you’ll be getting some serious cravings! Premise: In Medieval Europe, Sophie is a scullery maid for the cruel Duchess of Hohendorf. When a man named Gabe from Hagenheim Castle arrives and announces that Sophie is betrothed to his older brother, her life completely changes. The jealous Duchess throws Gabe in the dungeons and has Sophie sent to the forest to be killed. They both manage to escape into the wilderness and find refuge in the Cottage of the Seven. Can the pair make it to Hagenheim safely with a murderous duchess after them, while battling their growing feelings for each other? If you like your fairytales with a bit of a historical feel to them, Melanie Dickerson is your girl! Melanie is the only author I know of who writes fairytales within the Christian Fiction genre, so this was a nice surprise! This is the third book in the Hagenheim series, but the books all work as standalones and can be read in any order. This is the first Melanie Dickerson book I had ever read and I’ve been a fan ever since. The fourth book in this series, The Captive Maiden (retelling of Cinderella), I also highly recommend. Premise: Christian is far from a prince. In fact, he lives in a cave with the troll who raised him. However, Christian is absolutely infatuated with Princess Marigold and often spies on her outside her palace. He uncovers a plot by the evil Queen Olympia to take over the kingdom, and she’s willing to bump off her own daughter to do it. Will Christopher be able to save Marigold from her evil mother’s plot? Gosh, it’s probably been over a decade since I’ve read this one! Nonetheless, when I think of my favorite fairytales, this one always comes to mind. If you want something funny, whimsical, and light, this book is for you! This is the cutest, most adorable little fairytale series you will ever read! I recommend this or the previously mentioned Wide Awake Princess if you want something light and adorable to read. Premise: Princess Lily is the oldest of her sisters and therefore, the heir to the kingdom. Sick of having suitors pushed upon her, Lily escapes and stumbles upon a secret underground kingdom with her sisters. There, they encounter a sorcerer and become entangled in a curse that threatens the entire kingdom. Yet another Twelve Dancing Princesses retelling! This is the first indie book on this list, so if you’re looking for a cheaper fairytale read, give this one a go; it’s included in the Kindle Unlimited program if you have it! This book is quite similar to Princess of the Midnight Ball in certain aspects, so if you enjoyed that one, you’ll love this too! This book solidified Lea Douè as an author that I officially keep up with. Premise: Princess Adela harbors a love for horticulture so she can’t resist tagging along to a garden party hosted by the infamous Lady Hortensia. However, as soon as she arrives, she instantly notices that the garden seems a little “off”. Not only that, there is a talking magpie flitting around and stealing the guest’s jewels. Is it possible that Lady Hortensia is a witch, harboring a secret within her garden? This book is unique to the others on this list because it gives off a different sort of vibe. It’s still a fairytale, but with the way it’s written, it’s more so reminiscent of classic fiction (think A Little Princess or The Secret Garden). This book actually would’ve been perfect to mention in my previous installment of Once Upon A Dream as well. This one is great if you’re in the mood for something lovely and light to read! Premise: The King offers his daughter’s hand in marriage to the prince who can rid the kingdom of its evils, namely a witch, dragon, and bandits. Princess Margaret, “Meg”, isn’t having it, and decides to escape from her tower to win the contest herself. Who else is going to save the three targets from those pesky princes? If you’re looking for a book about an untraditional, rebellious princess looking for adventure, this book is for you! Rather than waiting for a prince to save her, she escapes from her tower to win the contest that the king has set. This one is great if you want to read about adventures and bold, spunky princesses! Premise: Princess Rhis is one of many princesses who are invited to the coming of age party for the Prince of Vesarja in the most central of the kingdoms. When Princess Iardith is abducted, Rhis and the other princesses must join together to rescue her. Last, but certainly not least! You guys, I absolutely adore this book. In this book, all the princesses from various kingdoms journey to Vesarja, the largest and most important of all the kingdoms in the realm. Reading about all the fun kingdom festivities really did make me feel like I was living in a fairytale! I hope that you enjoyed this edition of Once Upon a Dream; I think that this just might be my favorite post in this series so far! What else would you like to see in this series? Let me know your ideas in the comments below!